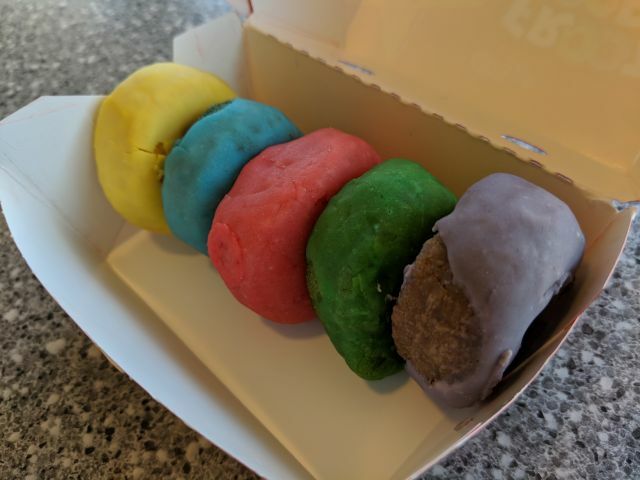 Carl's Jr. Froot Loops Mini Donuts feature iced mini donuts in five colors, each flavored like Kellogg's Froot Loops cereal. It was $1 for an order of five. They're the same size as your run-of-the-mill, store-bought, packaged mini donuts. With the color and the icing, the donut look more than a little like Play-Doh. Fortunately, they don't taste anything like Play-Doh. My particular batch was pretty moist but a little oily. They had a light and evenly airy texture inside. The crust was soft throughout and the icing was smooth and slightly hardened. The overall effect was similar to a package of Hostess mini donuts but a little fresher. In taste, both the icing and the donuts taste identical to Froot Loops with a generically fruity flavor with some non-tangy notes of citrus. Regardless of the color, the donuts tasted the same (which is the same for Froot Loops cereal). 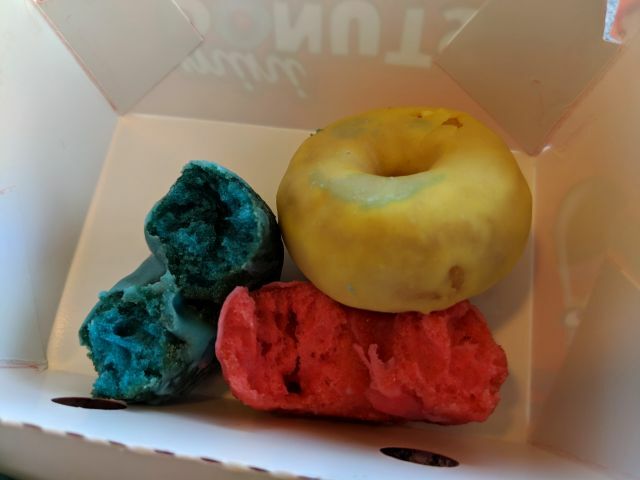 Overall, Carl's Jr. Froot Loops Mini Donuts perfectly delivered the taste of Froot Loops in mini cake donut form. If you're any fan of Froot Loops, these are definitely worth trying.